I got into bicycles because of my dad. For him, it was an interest that turned into a career, and for me, it was a childhood surrounded and motivated by two wheels. Summer months and long weekends were spent rummaging through old barns across the North East in search of relics from our two-wheeled past. A couple times a year we would venture further - Pennsylvania, Ohio, Iowa - to vintage races and swap meets. This was my summer camp. I'd see the same friends each year, we had our own bike gang, and we'd tour the fair grounds with soda cans wedged between our tire and seat-tubes. We agreed we had the coolest dads. At night we slept on the floor of the van between bikes, hobbling out in the morning smelling like fuel and chain grease. One year, at seven years old, I broke my arm trying to wheelie. Another year I tasted my first beer. Headed home I'd be tired and caught daydreaming, often times imagining myself riding along the rolling terrain as it rushed past my passenger window. Not old enough to drive, barely old enough to sit in the front seat, my job was tuning the radio, checking on our cargo, and keeping pops company as we drove through the night. Over the years, hundreds of machines and countless bits of memorabilia have passed through the shop. A repertoire encompassing every major and bespoke manufacturer, but with an admitted soft spot for early American racers. My dad had a propensity to find the rare and peculiar, but it was a flea-market discovery by his dad - my late grandfather - that set into motion a search that would uncover a remarkable era in our nation’s history, and a company at the heart of the transportation renaissance. It all started with this, a copy of sheet music dated 1895, titled the Keating Wheel March and featuring a safety bicycle on its cover. It was the first time any connection between our family name and the bicycle industry was substantiated, a strange and fortuitous correlation that has catapulted a 28 year pursuit. Over this time, much of our research has been compiled into a 400-page manuscript authored by my uncle Robert Keating - Wheel Man. We have unearthed nearly a dozen original Keating Bicycles from the mid-to-late 1890s - many garnished with their original componentry - in addition to countless lithographs, marketing materials and pieces of memorabilia. Early patent drawings pointed to a motorcycle as well. The design was unique to R. M. Keating, placing it on a timeline ahead of Harley-Davidson and Indian, but an exhaustive search across the globe provided little in the way of locating a surviving example. Years passed, but on one favorable day, a friend of my dads got called to fix a furnace unit in a home 50 miles north of us. In the basement, in parts and pieces, a Keating motorcycle. 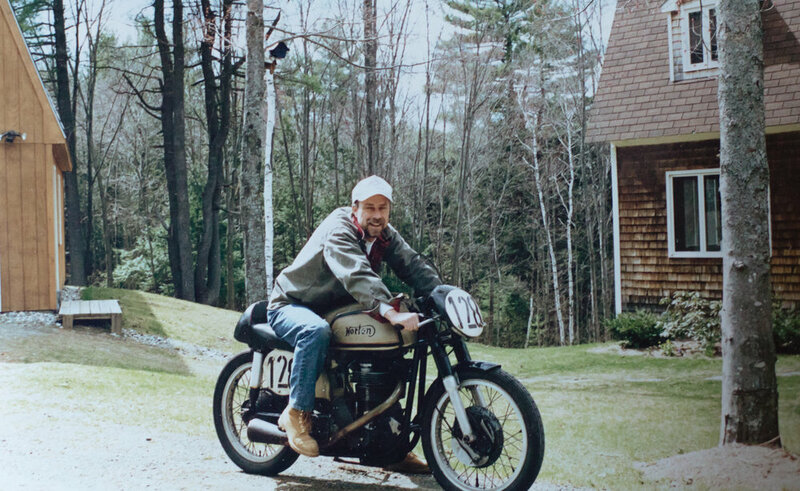 It would take another year to make a deal on the machine, the owner wanting to trade for an Ariel 500 single, a British motorcycle my dad didn't own. A search ensued, and upon finding one, he purchased it, the trade was made, and the world's only known example of a 1901 Keating motorcycle was back in the hands of a Keating. The joy of two wheels is something we never really grew out of. 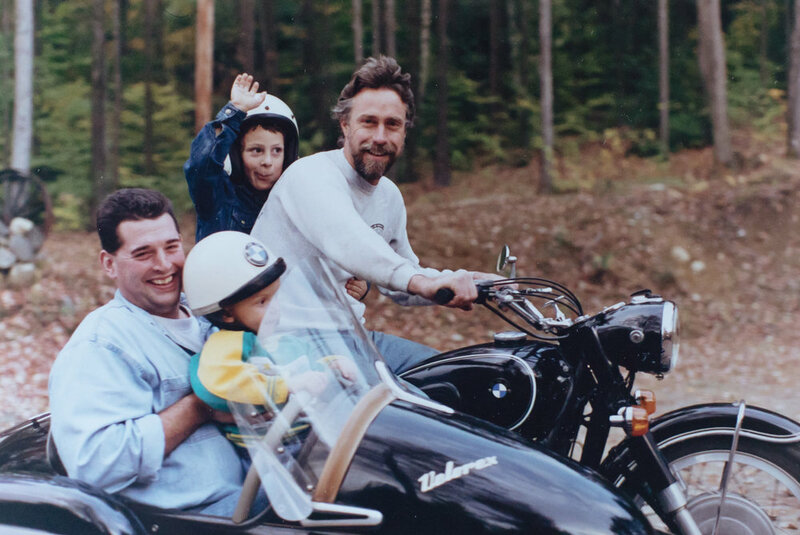 For my dad it prompted a decision to forgo college, choosing instead to tour North America and Europe by bike, and pursue a life behind handlebars. The bicycle catapulted my career in photography and filmmaking, and has allowed me to travel the world documenting it and its riders. We are more happy on two wheels, and this next chapter is us making good on what we feel to be our truest calling. The design and spirit of which will be authentically Keating. To keep tabs on our builds, stories and more, join our newsletter below. Your information is private, we share it with no-one.